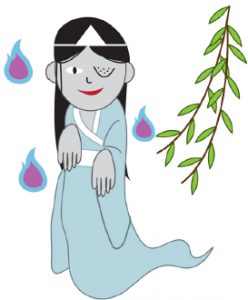 Continuing the celebration of the 130th anniversary of Little Tokyo, the Little Tokyo Historical Society and the Little Tokyo Branch of the Los Angeles Public Library will be presenting “Japanese Ghost Stories” on Saturday, Oct. 11, from 11 a.m. to noon. The program will include readings and DVD clips from subtitled tales of Japanese ghosts and demons, a Halloween origami craft, and singing fun songs about obake (ghosts). The story selections are age-appropriate for young children, teens and adults. For more information, email [email protected] or call LTHS President Michael Okamura at (626) 840-8409. Do you like to meet authors? Are you thinking of becoming one? Come and listen to a master storyteller for free. Barry Lancet, author of Simon & Schuster’s “Japantown” and the newly published “Tokyo Kill,” will be speaking at the library on Saturday from 12:15 to 1:15 p.m.
Lancet has a unique perspective of Japan and America, having spent a majority of his adult life in Japan. He landed a position at one of the country’s top publishing houses, and in 25 years he developed numerous books across many fields but mostly on Japanese culture, including art, crafts, cuisine, history, fiction, Zen gardens, martial arts, Asian philosophy, and more. All of which were sold in the U.S., Europe, and the rest of the world. The work opened doors to many traditional worlds, lending a unique insider’s view to his own writing. To RSVP for the Japantown Author Talk, call (213) 612-0525. Limited to the first 60 people to respond. The establishment of concentration camps in America is a chapter that many would like to forget. However, it is history that should be remembered as we face the fears of the future, along with the remembering is the history of the Quakers and how they reached out to help Japanese Americans in a time of hysteria and persecution. Tsukasa Sugimura will come from Japan to give a presentation along with Mikko Henson regarding that bright spot in an otherwise dark chapter of American history. This presentation, on Saturday from 2 to 4:30 p.m. at the library, is open to all, but will be done in Japanese. The library is located at 203 S. Los Angeles St. (at Second Street) in Little Tokyo. At the Information Desk, the library validates for 90-minute parking at the Paragon Parking Lot adjacent to the library. For more information, visit www.lapl.org/branches/little-tokyo.